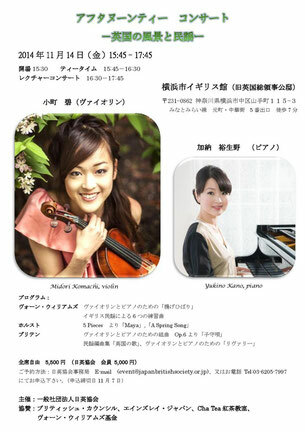 It was a great privilege to give a lecture recital at British House in Yokohama. 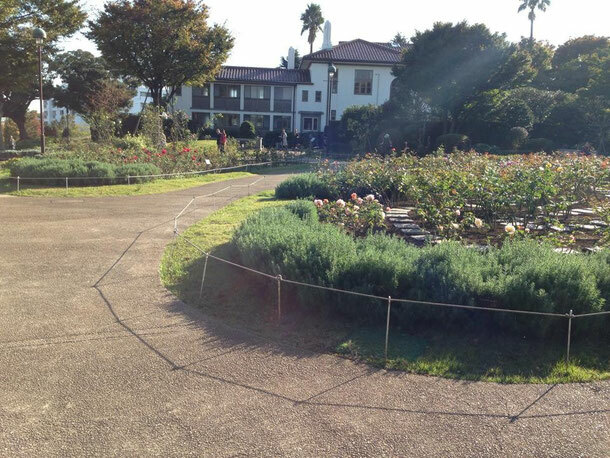 In this beautiful venue which was originally built as the Consulate General of Britain, the event took shape in the form of an afternoon salon concert, with an all-British programme of works by Vaughan Williams, Holst and Britten. 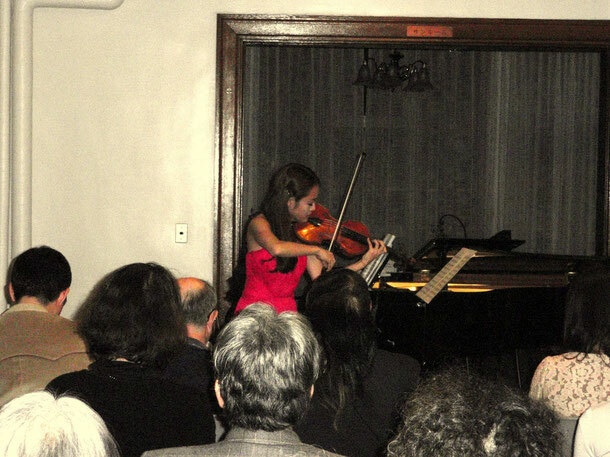 It was also such a joy to perform again with the wonderful pianist, Yukino Kano. On this sunny day, the Autumnal leaves glowed in warm colours in the garden, and one could not ask for a better atmosphere to be talking about ‘British landscapes and folksongs’. 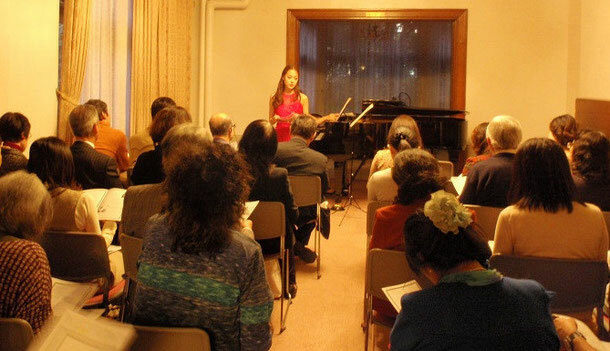 Before our recital, an afternoon tea session for the audience was provided by Aynsley Japan and Cha Tea School. In the early 20th Century, many British composers found their own voice through finding inspirations from landscapes and folksongs in Britain. This collectively developed a particular identity in British music. For me, what appealed to be the ‘Englishness’ of these works, came with the vision of the countryside of England. Rurality indeed played a major role, as composers chose to write music in this environment, where they could express the beauty of nature. Even for anyone who has never been to the UK, this identity in music is one that is relatable, as the emotion derived from affinity with nature is a topic that has been universal for many composers - from Beethoven to composers of today. Then how did these British composers develop their own voices that were particularly identifiable as 'British'? It was the discovery and incorporation of folksongs, a 'Folksong Movement' that was pioneered by Vaughan Williams from 1904, which made a major contribution to this development. Vaughan Williams and his contemporaries looked back at the music which was already deep-rooted down in the British soil. The simplicity of these melodies in folksongs gave refreshing 'new' material. 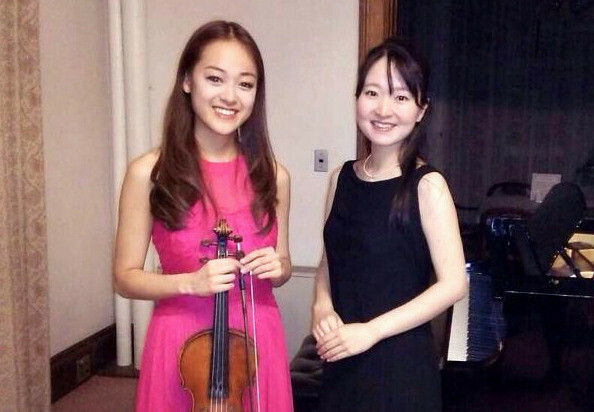 This led to the composition of many heartful melodies (exemplary in the works we performed in this recital), and of many others, such as that of Jupiter by Holst which has been one of the most widely known melodies in Japan. The three composers I have focused on this occasion have combined the illustration of landscapes and folksongs in different ways - to give some examples, Vaughan Williams' The Lark Ascending expresses an idealistic beauty of nature, yet with a melody that is melancholic, the feeling is somehow already nostalgic of this ideal world. In contrast, Britten's life-long theme was the depiction of dramatic seascapes in Suffolk. This was his home, where he composed many of his works and where dramatic storms inspired expressions of the most gripping, bitter reality in his works. Of course, there are many other British composers whose works are yet to be explored with this topic - this will be something for my future concerts! Thanks are due to the Japan British Society for organising this event, and to the British Council, the Vaughan Williams Charitable Trust, Aynsley Japan and Cha Tea School for their generous sponsorship.